As a local business owner, being aware of the ways customers want to shop is important to your success. Whether you repair computer parts or groom your neighborhood’s pets, your customers want the ability to engage with you online. 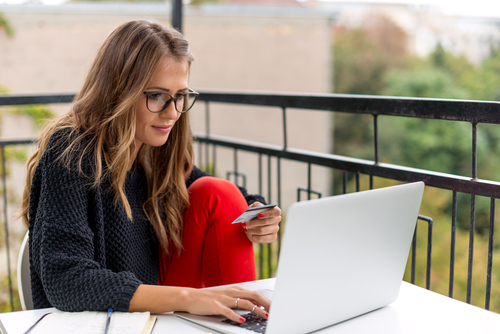 The first step towards increasing your sales and expanding your customer base is adding an eCommerce option to your website that is tailored to your business’s offerings. 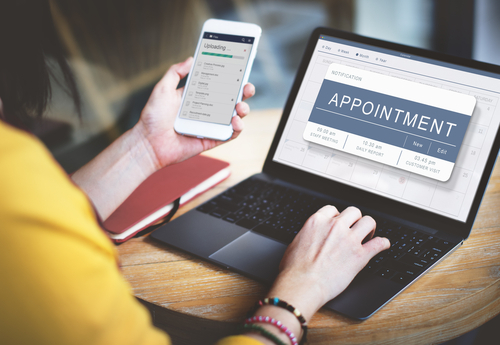 Maybe you want to offer a way for customers to pay for appointments ahead of time, to buy branded merchandise, or allow them to purchase gift certificates with added convenience—no matter your business, making click-to-purchase easier means more revenue. With the option to choose from an array of different template styles for your online store, Squarespace offers two plans for small businesses. One option is for businesses just getting started and one option offering more advanced capabilities for businesses ready to take things to the next level. An easily customizable and design-friendly platform, Squarespace is popular among businesses like restaurants, salons, spas and creative service professionals. Equipped with everything from a mobile-optimized website to unlimited storage, bandwidth and contributors, the basic plan packs in everything your small business might require to get started. The advanced plan includes everything the basic plan does as well as features like abandoned checkout auto recovery and real time carrier shipping. The Basic plan is priced at $26 per month when billed annually and $30 per month if billed month to month, while the Advanced plan is priced at $40 per month when billed annually and $46 per month if billed month to month. For more information on the services they provide, check out Squarespace. Offering over 100 professional templates to choose from, Shopify allows you to customize your online store to match your business’s style. Shopify gives you the ability to manage your orders, communicate with customers directly, track your sales, and monitor the service packages that are purchased the most. These extensive features help your business expand online to meet the needs and desires of your customers. With tools to use in-store as well as online, Shopify is great for brick-and-mortar businesses with an online purchase option. Shopify is packed with a website builder and blog, unlimited bandwidth, over 70 international payment gateways, global tax and currency support, gift cards and discount codes as well as tools to be fully optimized on search engines. Offering three plans to accommodate the needs of any business owner, Basic Shopify, Shopify, and Advanced Shopify, they’re priced at $29 per month, $79 per month, and $299 per month, respectively. To learn more about Shopify, visit their website. Built by eCommerce giant Magento, Zoey gives small businesses access to eCommerce features reserved for large-scale corporations. With the ability to design a website sans code, integrate preset buttons like menus and banners, mobile-compatibility, SEO resources, and unlimited bandwidth, Zoey is great for non-tech-savvy business owners looking to advance their online store’s capabilities. Zoey makes sure your site and customers are well protected with security features like 24/7 infrastructure monitoring and site wide HTTPS and PCI compliance. In addition, Zoey offers over 50 payment gateways to make the payment process a seamless one. The platform caters to every small business need with three distinct plans. The Professional plan is $89 per month, the Business plan is $199 per month, and the Premier plan starts at $599 per month. To learn more about Zoey and how they can help your small business, visit their website. BigCommerce offers features like mobile-optimized sites and checkout, faceted page search, automated fraud protection, email marketing tools and resources, over 100 storefront templates, as well as the option to move an existing online store into their integration. In addition, BigCommerce offers automated integration with the Google Trusted Stores trustmark and an analytics dashboard and insights. Not only are these features included, they also allow you to use the payment solution of your choosing. Dividing their services into four plans, the Standard plan is priced at $29.95 per month and the Plus plan is priced at $79.95 per month. Both of these plans are geared towards new and fast-growing businesses. For high-volume businesses, the Pro plan is priced at $199.95 per month and the Enterprise plan is priced according to the specific needs of your business. For more information on BigCommerce, visit their website. Built specifically to integrate with websites created on WordPress, WooCommerce is a free plugin available for all WordPress sites. WooCommerce is a great, free option for businesses looking to expand their online abilities on WordPress with features like mobile-compatibility, global or nation-wide selling, customizable storefronts, and customer support. WooCommerce also offers an active community of users as well as documentation that covers a vast amount of topics related to running your storefront on the WooCommerce interface. For more information on how to install the plugin on your WordPress site, visit their website. Understanding the features each eCommerce service offers will ultimately guide your decision in selecting how to best run your online storefront. Considering more than 75% of adults surveyed order products or services online, you can’t afford to lose out on online opportunities. To learn more about how SinglePlatform can help your business succeed on the web, click here.